Are you ready for a starship escape? You need to fly over the obstacles and collect stars. 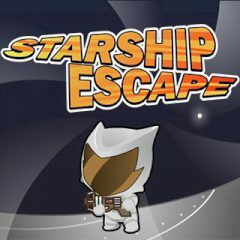 The starship escape isn't over yet and you must complete the entire quest. Fly forward, dodge obstacles and collect stars along the level. Try to make it a long journey to level up a character.